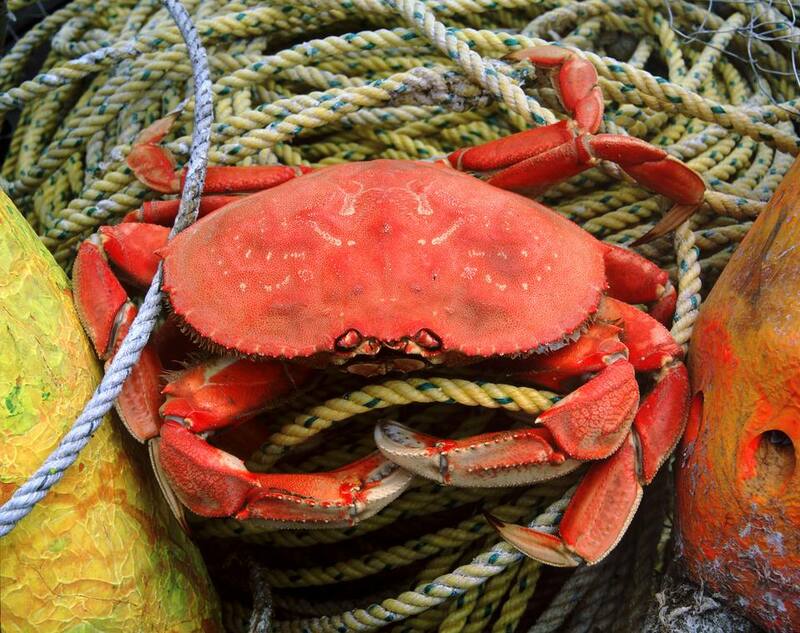 Fresh, sweet crab is available during different seasons in different parts of the country. Whether you are cooking summer blue crabs in Maryland or winter Dungeness crabs in California, the sweetest, most tender crab is a fresh crab, just-cooked. You can often buy crabs already cooked and cleaned, but the best-tasting crabs are crabs you have cooked yourself. Chilling crabs after cooking them does not ruin the flavor, but it does diminish it a bit. And, once you have some cooked crabs, do you know how to eat crab like a pro? Also, you might want to think about some ideas on how to serve cracked crab. The good news is that cooking crabs are super easy—give one of these simple recipes a try. Bring a large pot of water to a boil. Make sure to salt it enough so it tastes as salty as ocean water. Some people swear by adding beer or white wine to the water. Add any seasonings you like—like Old Bay, if that is to your taste—and then the crabs. Add the crabs, quickly, one right after the other, so they cook for the same amount of time. Bring the water back to a boil and cook until the crabs start to float. Depending on the size of the crabs, this will happen in 10 to 15 minutes or so. Use tongs to remove the crabs and set them out until they are cool enough to handle. Bring an inch of salted water to a boil in a large pot. Put the crabs in a steamer basket or insert or simply pile them into the pot and let the bottom crabs boil slightly and act as a platform for the other crabs to steam. Cover and cook 10 to 20 minutes, depending on the size of the crabs. Remove the steamer or pull the crabs out of the pot with tongs. Let the crabs sit until cool enough to handle before you clean and serve them. You can give them a rinse under cool water to speed up the process. Boil or steam the crabs as outlined above for about 5 minutes, let them cool, then clean them. Toss the whole cleaned crabs (or halves or quarters depending on the size) with some olive oil and maybe a minced clove of garlic or two, plus some chopped rosemary or thyme leaves if you like. Set them on a hot grill until cooked through and browned, about 4 minutes per side. If you have soft-shell crabs, the grilling process is different. As with grilled crabs, you need to quickly boil or steam them and clean them first. Toss the cleaned crabs with some oil or melted butter, aromatics, spices, or herbs that you like (minced shallot or garlic is yummy, as is a mix of minced ginger and green onions). Set the crabs in a mainly single layer in a roasting pan and cook in a hot oven (450 F to 500 F) until the crabs are browned and sizzling (and cooked through) for about 10 minutes. Can Cheese Really Be That Easy to Make at Home?